A healthy, growing podiatry practice has a waiting room full of the kinds of patients you want to see. This means you're treating a healthy mixture of both new and returning patients every month. Your returning patients form a stable relationship with you and provide a regular source of appointments and income. Your new patients grow your patient base over time. What many podiatrists don't understand, however, is what that “healthy mixture” of new and returning patients looks like. How do you know if you're seeing the right number of new patients every month, so you can tell if you're actually growing? Exactly how many new patients you're seeing in a month will depend on your unique practice. But for healthy growth and a better bottom line, your goal should be a 20-80 ratio: 20% new patients, 80% current, reactivated, returning patients. So if you're seeing a total of 100 patients a week, 20 of those appointments should feature new patients. 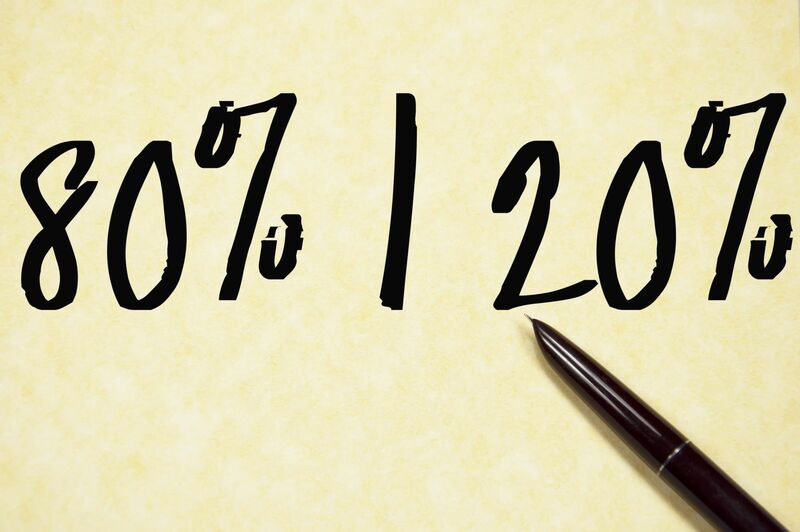 This percentage breakdown provides a healthy balance that allows you to serve your current and reactivated patients, while bringing in a solid number of people who are new to the practice so you can continue to grow. Go back and look at your percentages of new and returning patients for the last three months—and then your last year. If you're not seeing the 20-80 numbers, that could easily be a reason you're not seeing the revenue you want, able make the purchases you need for your practice, or even hire the appropriate staff you require for your business. Feeling those financial pressures can make everything about owning and operating a podiatry practice that much more stressful, leaving you feeling overworked, underpaid, and unsure of how to move forward. Far too many doctors sacrifice their nights, weekends, and time with their families to deal with the strain of revenue issues in their practice. It doesn't have to be that way, of course. Filling your waiting room with the kinds of patients you want to see—and hitting that 20-80 ideal—is absolutely possible. The key is your marketing. Effective marketing enables you to reach out to new patients through every possible avenue to find them where they already are when they need your help. Marketing also helps you build relationships with your current patients and reactivate older ones who haven't been to your office in a while. Effective marketing is one of the most valuable investments you can possibly make in your practice. Top Practices' Four Pillars approach has been proven time and time again by hundreds of active podiatrists from all walks of life. We've seen it work for our members, so we know it can work for you, too—as long as you're willing to follow the plan. You can get your nights and weekends back and ease your financial pressures. A full waiting room (with the right new-to-returning patient balance) is possible. For more information about how the Top Practices marketing approach can help, call 717-626-2025 or email us at [email protected]!